Lock in a great price for Eitch Borromini Palazzo Pamphilj – rated 8.9 by recent guests! Gorgeous property, extremely lovely staff, beautiful room, sitting area, small veranda off suite. Rooftop deck is a must for gorgeous views, wine selection and service. Breakfast was included with our room, amazing selection and delicious. The staff was exceptional!!!! View overlooking the Piazza Navona was stunning and we were walking distance to so much!!! Staff was genuinely nice. E.g. I got place recommentdations on printed 2 pages like a report! Not used to this kind of energy in touristic cities. We loved the experience the location is perfect and the staff were great and very friendly. Special thanks to the manager Alessandra. It is a very historic building and we got upgraded to one of the very unique rooms. It is like a small Palace! 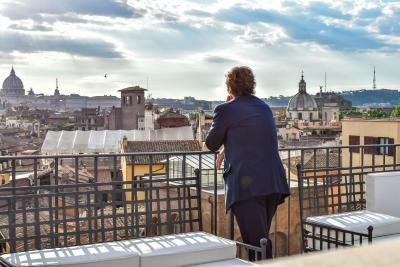 Great, spacious and comfortable rooms, especially the suites with the marvelous view of Piazza Navona! Just in the center of the city, where you can walk everywhere and visit all the sightseeings on foot! Kind and always helpful staff! Big variety of breakfast and always tasty. Value for money!Everything was so nice! 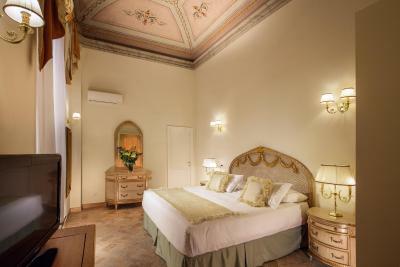 We are so satisfied that we will definitely choose again Eitch Borromini Palazzo Hotel in the future ! It was the best choice ever! 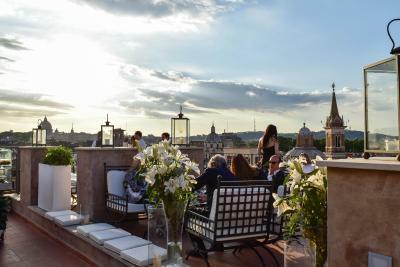 Don't forget to visit the roof garden of the hotel! *I would only reccomend only the below: A welcome gift by the hotel during the arrival, would be appreciated & A little bit more attention at the clearance of the rooms. 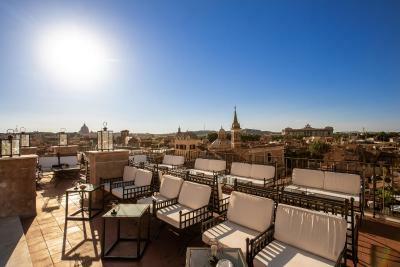 The location is premium and being right at Piazza Navona couldn’t be better. Every member of the staff is super nice, they are always there to help you and make you feel at home, even the owners are there at all times, very nice people. Very good breakfast. We got an upgrade for a huge suite with two rooms. 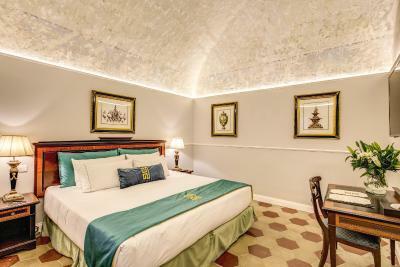 The room was a lovely suite that had the feel of an old Roman estate complete with brick-tiled flooring. If you want the feel of authenticity this is a great place to stay. 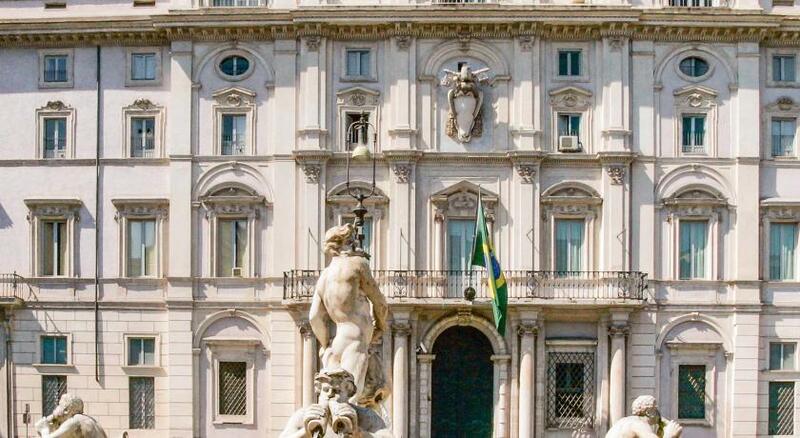 The location is also unrivaled as Piazza Navona is directly behind the hotel. Awesome place. Great view from windows. Historical building. location excellent and morning breakfast good and bathroom roomy but antique and leaky shower and room accommodations were poor. Hotel surrounded by wonderful restaurants on the back street. Very large rooms. 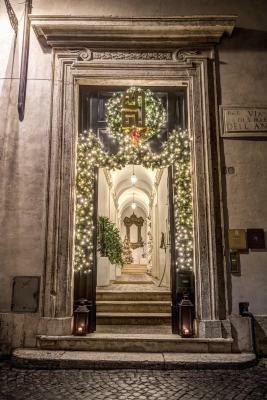 Building was built in 1644 and was once a house for the pope. This place is a must. 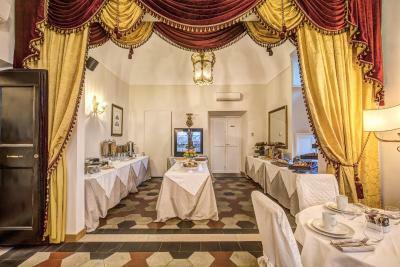 Very unique property with a great breakfast. High quality food and many choices. Rooftop bar is fantastic at sunset. The rooftop is only open seasonally so check first. Staff was awesome. 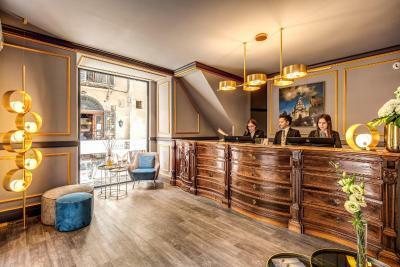 Eitch Borromini Palazzo Pamphilj This rating is a reflection of how the property compares to the industry standard when it comes to price, facilities and services available. It's based on a self-evaluation by the property. Use this rating to help choose your stay! 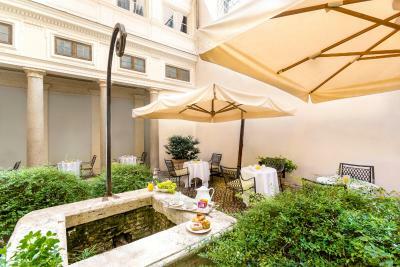 One of our top picks in Rome.Boasting a panoramic terrace with views of Piazza Navona, St. Peter's Basilica and the Pantheon, Eitch Borromini Palazzo Pamphilj is set in a historical building from the 17th-Century, designed by Francesco Borromini. It offers spacious accommodations with free WiFi. 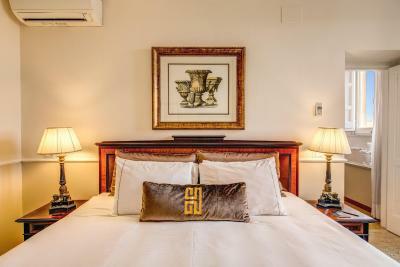 The rooms and suites are elegantly decorated and feature modern details as well as original features of the building. 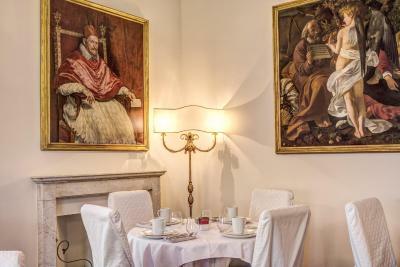 They come with original frescoes, air conditioning and a flat-screen TV. 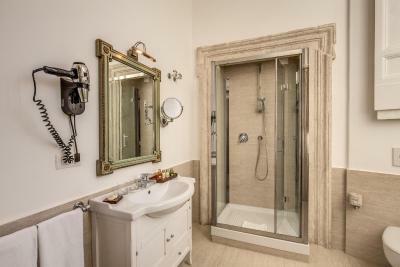 The private bathroom includes Etro toiletries. 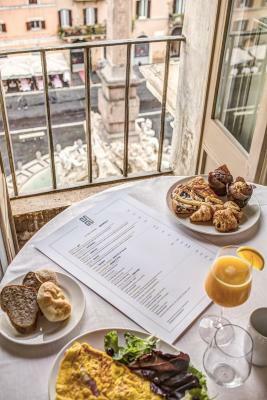 Guests can start their day with a rich continental breakfast including jams, fresh fruits, cold cuts and pastries. 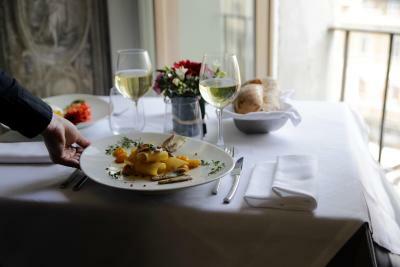 Italian flavors and seafood dishes are also served at the à la carte restaurant. Eitch Borromini Palazzo Pamphilj is centrally located. 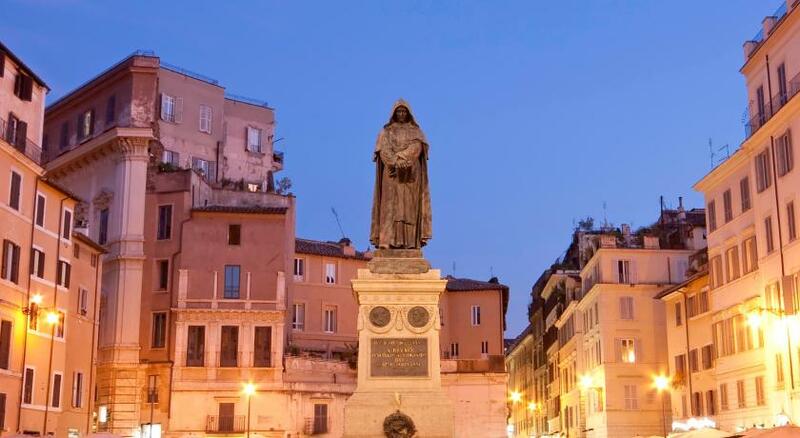 The Pantheon, Campo de' Fiori and Castel Sant'Angelo can be reached in a 10-minute walk. 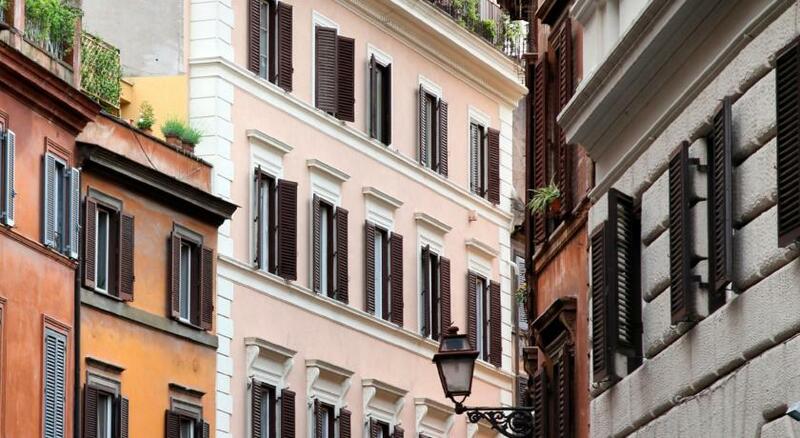 Navona is a great choice for travelers interested in food, city walks and culture. 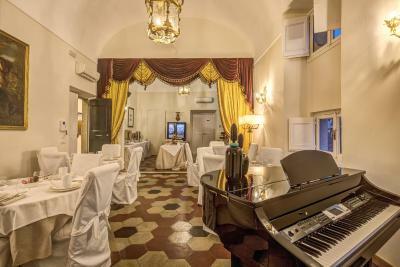 This property also has one of the top-rated locations in Rome! Guests are happier about it compared to other properties in the area. 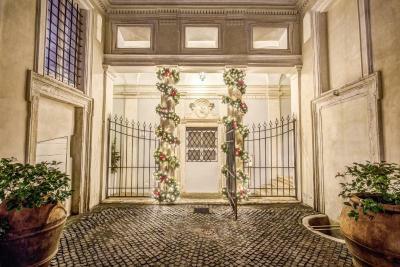 When would you like to stay at Eitch Borromini Palazzo Pamphilj? This elegantly furnished suite comes with air conditioning, living room and a kettle. The bathroom includes bathrobes and slipper, free toiletries and a hairdryer. This elegantly furnished suite comes with air conditioning, living room and a kettle. The bathroom includes bathrobes and slipper, free toiletries and a hairdryer. 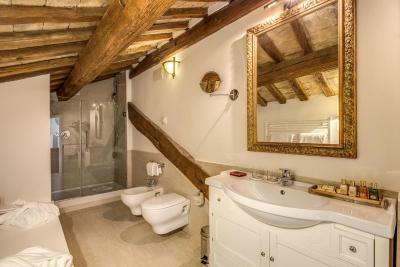 Some suite feature exposed wooden beams on the ceilings. This elegantly furnished suite comes with air conditioning, living room and a kettle. 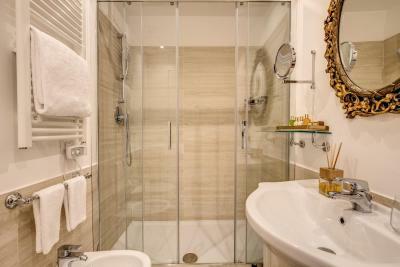 The bathroom includes bathrobes and slippers, toiletries and a hairdryer. Some suites feature exposed wooden beams on the ceiling. This elegantly furnished room comes with air conditioning and a kettle. The bathroom includes bathrobes and slipper, free toiletries and a hairdryer. 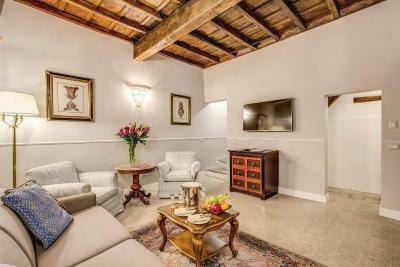 Featuring exposed wooden beams on the ceilings, this elegantly furnished suite comes with air conditioning, living room and a kettle. The bathroom includes bathrobes and slippers, toiletries and a hairdryer. 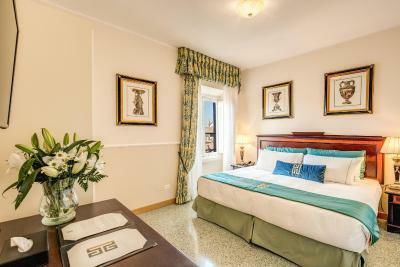 This elegantly furnished room comes with air conditioning, a kettle and a TV. The bathroom includes bathrobes and slipper, free toiletries and a hairdryer. Featuring city view and a living room, this elegantly furnished suite comes with air conditioning, TV and a kettle. The bathroom includes bathrobes and slippers, toiletries and a hairdryer. 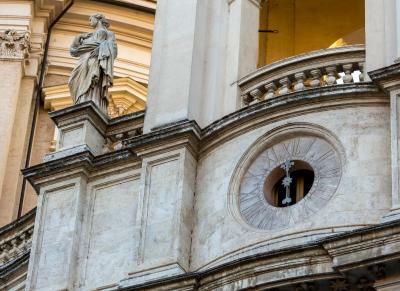 H [eitch] / Borromini is located within the 'Collegio Innocenziano', one of the most beautiful buildings of Rome. 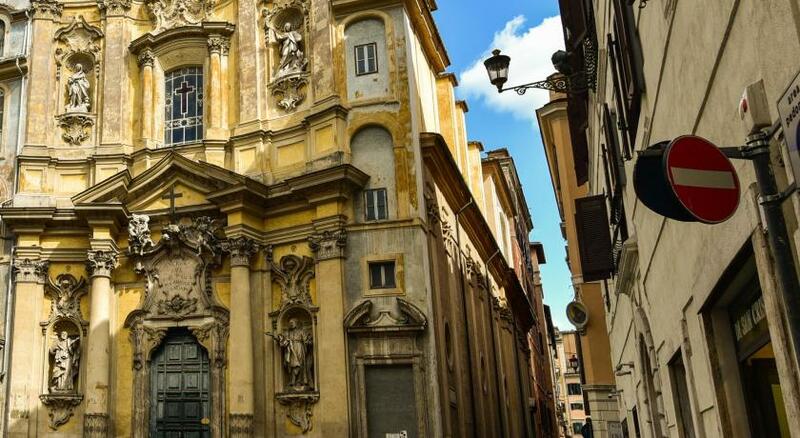 The palace itself - which takes its name from Pope Innocent X Pamphilj that he built during his pontificate (1644) - is itself a work of art embedded within the Bernini's church of Santa Agnese in Agone. 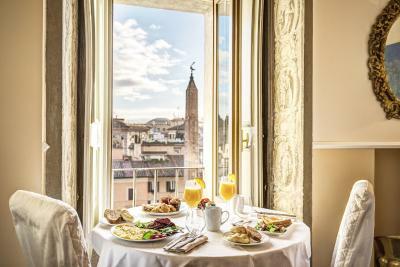 Our guests can have breakfast in front of the 'Fontana del Moro', take an aperitif at the sound of the bells in the church tower, sleep under the frescoes by Pietro da Cortona and Francesco Cozza, dine on the roofs of Rome with a view that sweeps from domes of Borromini Sant'Ivo alla Sapienza, the Pantheon, St. Peter's, the Spanish Steps. 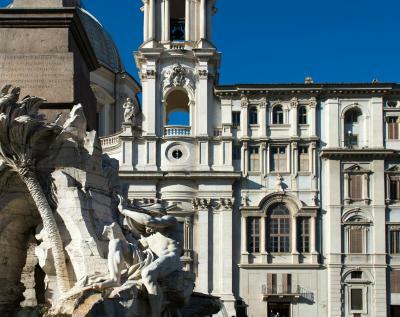 The entire building has been designed by Gianlorenzo Bernini and is the only facility of its kind in the world that houses a tourist facility. 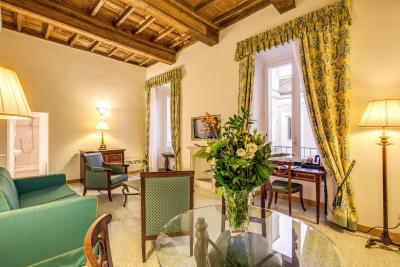 Staying at the H [eitch] is like living history: the 'Innocenzo X' Room really once was the apartment of the Pope, the clock room contains the mechanisms that drive the giant dial on the facade. 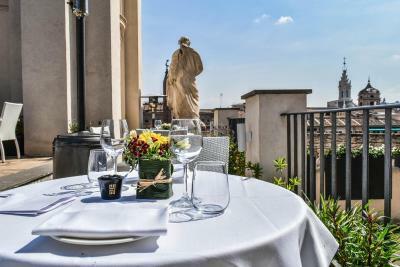 Complete the building the courtyard of bell towers, the intermediate terrace overlooking Piazza Navona and the rooftop with 360 degree views on the Eternal City. 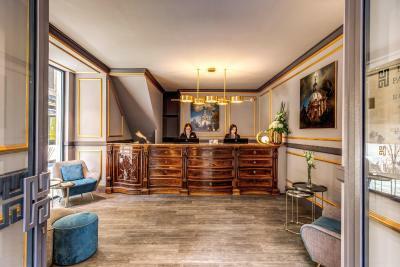 Hotel surroundings – This neighborhood is a great choice for travelers interested in food, city walks and culture – Check location Excellent location – show map Guests loved walking around the neighborhood! House Rules Eitch Borromini Palazzo Pamphilj takes special requests – add in the next step! Up to two children under 12 years are charged EUR 50 per night when using existing beds. Eitch Borromini Palazzo Pamphilj accepts these cards and reserves the right to temporarily hold an amount prior to arrival. Please inform Eitch Borromini Palazzo Pamphilj of your expected arrival time in advance. You can use the Special Requests box when booking, or contact the property directly using the contact details in your confirmation. Fold out couch only meant for the heartiest of sleepers or you’ll wake up frequently from tossing and turning on thin mattress. Otherwise no complaints! One shutter was loose on the window and it banged all night during a storm. Didn’t make for a great night of sleep. The staff were very friendly all the time and always helpful, even though there was some building work going on we hardly noticed it! Our upgraded suite was perfect! Hot water pressure really low. Little problem to solve. No place outside of room to sit and work- in winter. Sound isolation does not exist much. It is worthwhile to change the key chains to something that would not make as much noise. Smaller rooms need a couple of more shelves. All recommendations for improvement, would not treat as major cons. Location,staff very pleasant and ready to help,interior,breakfast and place for it. We were surprised to be up-graded upon arrival:)Thank you so much!The noise from the square was not heard in it,lucky we are.Beautiful terrace with view on rooftops and sights.There was everything needed in the room. in the small room there is no desk. next time i'll order a big room. Just a few details but not really important, more of a suggestion : radio music during breakfast is not in line with the type of hotel. Something more classical style would be more appropriate. Great location in the city center. Beautiful building with lot of history. Very kind staff. The corridors & anywhere outside of the bedroom was quite cold even though we were on the fourth floor. Rooftop bar closed, I know it was end of November but loads of other outside bars were busy down in the Piazza. It just meant there was no sociable bar area in the hotel and the piazza bars got our custom. 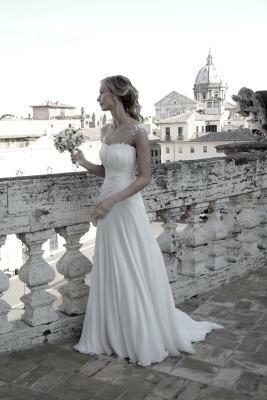 Fantastic location - Piazza Navona is probably one of the best Piazzas in Rome. The building was amazing and the staff were very helpful and courteous.